Addressee: Data will not be passed on to third parties, unless legally obliged to do so. JUAN ANTONIO GARCÍA-FILOSO RODRÍGUEZ is the owner of this domain and has published this website to provide potential visitors with access to information about its solutions and services. The information displayed on the website is made freely available to users who access the website individually and without charge. The commercialisation of the right of access is expressly prohibited. – Registering in services offered by JUAN ANTONIO GARCÍA-FILOSO RODRÍGUEZ in its development and operation Web Platforms. – Exchange of business cards. – Directly from the interested parties. A) Managing and processing any type of request for information in relation to the services we offer. B) Keeping our clients and interested parties informed about our services, and about those subjects that we consider to be of professional interest. D) Personnel selection processes for a job position. JUAN ANTONIO GARCÍA-FILOSO RODRÍGUEZ makes the highest effort to ensure that the information published on its website is accurate and up-to-date. However, JUAN ANTONIO GARCÍA-FILOSO RODRÍGUEZ is not responsible for the consequences of reading it. JUAN ANTONIO GARCÍA-FILOSO RODRÍGUEZ takes all appropriate measures to protect against unauthorized access or alteration, disclosure or destruction of information. This includes internal reviews of our information collection, storage and processing practices, as well as physical and logical security measures to protect against unauthorized access to the systems in which the information is stored. All our staff have signed a confidentiality agreement and are aware of the data protection policy, and in the case of third parties who, in compliance with a service, may have access to files containing personal data under the responsibility of JUAN ANTONIO GARCÍA-FILOSO RODRÍGUEZ, this service will be regulated in accordance with Article 28 of the General Data Protection Regulation EU 2016/679. We do not process data from children under the age of 14. Therefore, the user must refrain from providing them if he or she is under that age or, if applicable, from providing data from third parties under that age. JUAN ANTONIO GARCÍA-FILOSO RODRÍGUEZ disclaims any liability for failing to comply with this provision. 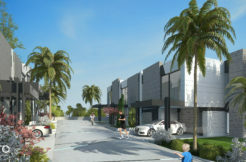 In accordance with the LSSSI, you may unsubscribe from any of the subscription services and express your opposition to receiving advertising information by sending an email from the account to unsubscribe with the word “UNSUBSCRIBE” in the subject line to the following address: info@luxurycoolhomes.com. Entities and suppliers that provide services to JUAN ANTONIO GARCÍA-FILOSO RODRÍGUEZ for the correct execution of our activities and projects. These entities and suppliers are duly accredited and sign the corresponding data processing contract with us in compliance with current data protection regulations. To give you examples of the services we provide and which may involve the processing of your personal data on behalf of JUAN ANTONIO GARCÍA-FILOSO RODRÍGUEZ We can mention, but not limited to: multidisciplinary professional services, legal advice, technological services, IT, messaging and distribution, maintenance, security and surveillance, advertising and marketing, call center, etc…. – To request the limitation of the processing of your data, in certain cases, in which case we will only keep them in accordance with current legislation. – To carry your data, which will be provided to you in a structured format, of common use or mechanical reading. If you prefer, we can send them to the new manager that you designate. It is only valid in certain cases. – To file a complaint with the Spanish Data Protection Agency or competent supervisory authority, if you believe that we have not dealt with you correctly. – To revoke consent to any treatment for which you have consented, at any time. When you exercise your rights of suppression, opposition, limitation or withdrawal of your consent, JUAN ANTONIO GARCÍA-FILOSO RODRÍGUEZ will stop processing your data, except for compelling legitimate reasons or the exercise or defence of possible claims. – Session Cookies: Those used to store data about the user who accesses a web page (operating system, browser type, language), to facilitate navigation. – Technical Cookies: Cookies that allow the use of security elements during navigation, control traffic and data communication, identify the session and access to restricted access areas, among other functions. – Analytical Cookies: Those that allow you to know the number of visited pages and sessions, browsing time, IP address and domains which they are accessed from. (This site does not use third party services for these functions). The information stored is used to know the frequency of visits and the preferences regarding the contents of the pages visited, etc. If you do not wish to allow cookies to be installed on your computer, you must configure your browser accordingly. To configure your browser to accept or reject, by default, all cookies, or to receive an on-screen warning of the receipt of each cookie and then decide whether or not to place it on your hard drive. To do this, we suggest the help section of your browser, to learn how to change the settings you currently use. IP addresses: the website’s servers will be able to automatically detect the IP address and domain name used by the user. An IP address is a number automatically assigned to a computer when it is connected to the Internet. All this information is recorded in an activity file that allows the subsequent processing of the data in order to obtain only statistical measurements that allow us to know the number of page impressions, the number of visits made to the web services, the order of visits, the access point, etc. All cookies used by JUAN ANTONIO GARCÍA-FILOSO RODRÍGUEZ are our own and under no circumstances are third-party cookies used. Access and/or use of this portal owned by JUAN ANTONIO GARCÍA-FILOSO RODRÍGUEZ attributes the condition of USER, who accepts, from that access and/or use, the General Conditions of Use reflected here. The aforementioned Conditions shall be applicable regardless of the General Contracting Conditions that may be mandatory. www.luxurycoolhomes.com provides access to a multitude of information, services, programs or data (hereinafter, “the contents”) on the Internet belonging to JUAN ANTONIO GARCÍA-FILOSO RODRÍGUEZ or its licensors to which the USER may have access. The USER assumes responsibility for the use of the portal. This responsibility extends to the registration required to access certain services or content. In this registration the USER will be responsible for providing truthful and lawful information. As a result of this registration, the USER may be provided with a password for which he/she will be responsible for, committing to make diligent and confidential use of it. The USER undertakes to make appropriate use of the contents and services that JUAN ANTONIO GARCÍA-FILOSO RODRÍGUEZ, may offer through its portal and by way of example but not limited to, not to use them to (i) incur in illicit and lauful, or illegal activities or activities contrary to good faith and public order; (ii) disseminate content or propaganda of a racist, xenophobic, pornographic or illegal nature, of advocacy of terrorism or violation of human rights; (iii) cause damage to the physical and logical systems of JUAN ANTONIO GARCÍA-FILOSO RODRÍGUEZ, its suppliers or third parties, introduce or spread computer viruses or any other physical or logical systems on the network that may cause the aforementioned damage; (iv) try to access and, where appropriate, use other users’ e-mail accounts and modify or manipulate their messages. JUAN ANTONIO GARCÍA-FILOSO RODRÍGUEZ, reserves the right to withdraw all comments and contributions that violate respect for the dignity of the person, that are discriminatory, xenophobic, racist, pornographic, that violate youth or childhood, public order or security or that, in its opinion, are not suitable for publication. In any case, JUAN ANTONIO GARCÍA-FILOSO RODRÍGUEZ, is not responsible for the opinions expressed by users through forums, chats, or other participatory tools. JUAN ANTONIO GARCÍA-FILOSO RODRÍGUEZ by itself or as assignee, is the owner of all the intellectual and industrial property rights of its website, as well as the elements contained therein (including but not limited to images, sound, audio, video, software or texts; trademarks or logos, combinations of colours, structure and design, selection of materials used, computer programs necessary for its operation, access and use, etc. ), owned by JUAN ANTONIO GARCÍA-FILOSO RODRÍGUEZ, or its licensors. All rights reserved. By virtue of the provisions of Articles 8 and 32.1, second paragraph, of the Law on Intellectual Property, the reproduction, distribution and public communication, including the way in which all or part of the contents of this website are made available to the public, for commercial purposes, in any medium and by any technical means, without the authorisation of JUAN ANTONIO GARCÍA-FILOSO RODRÍGUEZ, are expressly prohibited. The USER undertakes to respect the Intellectual and Industrial Property rights owned by JUAN ANTONIO GARCÍA-FILOSO RODRÍGUEZ. You may view the elements of the portal and even print, copy and store them on your computer hard disk or on any other physical medium provided that it is solely and exclusively for your personal and private use. The USER must refrain from deleting, altering, evading or manipulating any protection device or security system installed on the pages of JUAN ANTONIO GARCÍA-FILOSO RODRÍGUEZ. JUAN ANTONIO GARCÍA-FILOSO RODRÍGUEZ is not responsible, in any case, for any damages of any kind that may cause, but not limited to: errors or omissions in the contents, lack of availability of the portal or the transmission of viruses or malicious or harmful programs in the contents, despite having taken all necessary technological measures to prevent it. JUAN ANTONIO GARCÍA-FILOSO RODRÍGUEZ, reserves the right to make unannounced changes deemed appropriate to its website, and may change, delete or add both the content and services provided through it and the way in which they are presented or located on its website. In the event that links or hyperlinks to other Internet sites are available on http://luxurycoolhomes.com, JUAN ANTONIO GARCÍA-FILOSO RODRÍGUEZ will not exercise any control over such sites and content. Under no circumstances JUAN ANTONIO GARCÍA-FILOSO RODRÍGUEZ, will assume no responsibility for the contents of any link belonging to a third party website, nor guarantee the technical availability, quality, reliability, accuracy, breadth, truthfulness, validity and constitutionality of any material or information contained in any such hyperlink or other Internet sites. Likewise, the inclusion of these external connections will not imply any type of association, merger or participation with the connected entities. JUAN ANTONIO GARCÍA-FILOSO RODRÍGUEZ, reserves the right to deny or withdraw access to the portal and/or the services offered without prior notice, at its own request or at the request of a third party, to those users who do not comply with these General Conditions of Use. JUAN ANTONIO GARCÍA-FILOSO RODRÍGUEZ, will pursue the breach of these conditions and any misuse of its portal exercising all civil and criminal actions that may correspond to it by law. JUAN ANTONIO GARCÍA-FILOSO RODRÍGUEZ may modify the conditions herein determined at any time, being duly published as they appear here. The validity of the aforementioned conditions will depend on their exposure and will remain in force until they are modified by others duly published. The relationship between JUAN ANTONIO GARCÍA-FILOSO RODRÍGUEZ, and the USER will be governed by current Spanish legislation and any dispute will be submitted to the Courts and Tribunals.